For you a glass of wine might be your happy place. The thing you reach for at the end of a long day, when you switch off a part of your brain. If you want to keep it that way, then stay far, far away from this book. Now all that being said, the book really is a journey. Almost a scavenger hunt, if you will. As I mentioned, Bianca starts out with broad questions: Why wine? Why is wine so great? Why do people decide to dedicate their lives to wine? And instead of asking those questions, she immerses herself completely into the wine culture. Of course this is easier said than done. There’s a whole wine industry that can be, shall we say, closed off if you’re not already “one of the crowd.” So Bianca makes herself “one of the crowd.” She finds study groups, takes on mentors, gets herself working in a restaurant (even if it is just as a cellar hand) and takes every opportunity to engage with wine. But the journey doesn’t end there. Actually, that’s just where it begins because studying with these people, working with wine, opens up a whole scope of new nuanced questions: Why do we smell what we smell? Why do we taste what we taste? What makes expensive wine more delicious — or is it, Why is delicious wine more expensive? Bianca explores all of that in this book — and she does it by going straight to the source. Expert somms, yes, but also scientists who specialize in the senses, winemakers with, let’s say, “specific” points of view, and of course the general public — wine drinkers. What You’ll Learn: Everything you didn’t know you wanted to know about wine, smelling wine, tasting wine, sommelier culture. If you thought the movie Somm and Somm Into the Bottle shed some light on what it means to study wine — you know nothing. I want to say one thing, though, and I’ll throw it in here because if I were to say everything that I learned in this book that would be a week-long series, honestly. Anyway, the thing is, that Bianca has a fun, realistic voice. 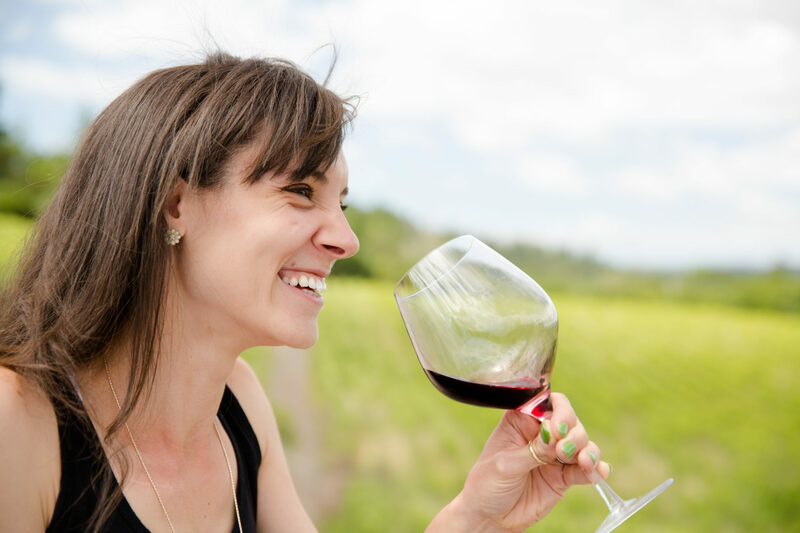 She’s clearly “one of us:” a wine drinker, a curious person — she’s fun and witty and she keeps her personality with every step of this marathon journey. So, Bianca, though I agree with the aforementioned warning to a point, I want to add an asterisk to that point and say that the way she tells the story of wine study is engaging, informative, and at times even funny. She gets frustrated, confused, drunk on more than one occasion — and its that realism that makes the book. So wine-nerd or not, you’ll get a kick out of Bianca’s literature. Wine Pairing: Any good wine book — yes even manga — will make you want to have a good glass of wine. Reading Cork Dork, there are plenty of ideas of how to host and participate in a blind tasting. If you’ve got a wine group or book group, this could totally be a fun game for your next book club meeting. More Information: I received a copy of Cork Dork as a sample for review. (Cheers Bianca!). You can purchase Cork Dork on Amazon (Paperback: $10). For more information about Bianca, please visit BiancaBosker.com. Cheers! And this author is now controversial for her op-ed in the NY Times, which I never read, but can’t decide how I feel about it. Is mass-market wine a great development or a shame? This is such a well written review. I would check out this book. Hey Carol. I haven’t read that article either, but I’ll have to look it up. In my humble opinion, I think it’s a grey area. While mass market wine has a purpose, what’s a shame are the additives that are going into such products. Just because something’s made in mass quantity doesn’t necessarily mean the quality needs to diminish. Unfortunately, like the recent development in food awareness, it’s up to the consumer to understand what’s going into the wine an only when there’s a collective uprising will a change really occur. Thanks so much for reading and sharing the review. I highly recommend Bianca’s book — she’s an excellent writer and certainly observes the wine world from multiple angles in this memoir. Cheers!